To create a stadium that connects and celebrates the people of Minnesota, offering an unparalleled fan experience inside the stadium while driving economic development in the surrounding neighborhood. 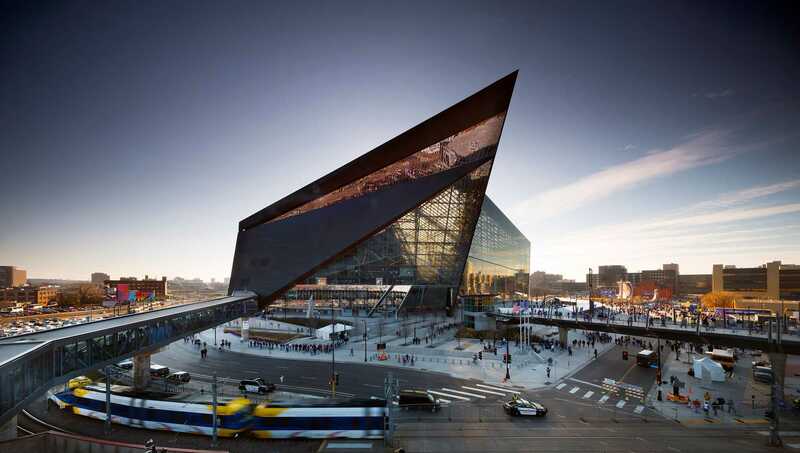 Home to the Minnesota Vikings NFL team, U.S. Bank Stadium is a multi-purpose venue known as “The People’s Stadium.” HKS designed the building to reflect the culture, climate and context of the city, drawing inspiration from ice formations on nearby St. Anthony’s Falls as well as Scandinavian design such as Viking longboats. 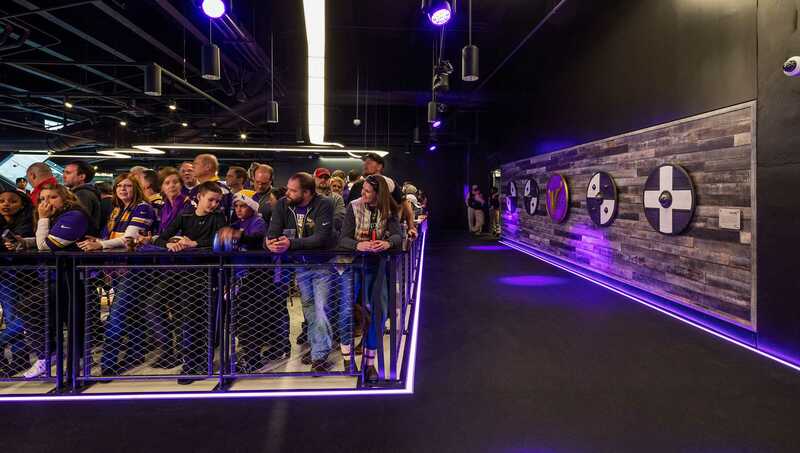 The stadium provides Minneapolis with a year-round venue for concerts, baseball, high school and college athletics, conventions, festivals and more, driving economic and real estate development in the city. 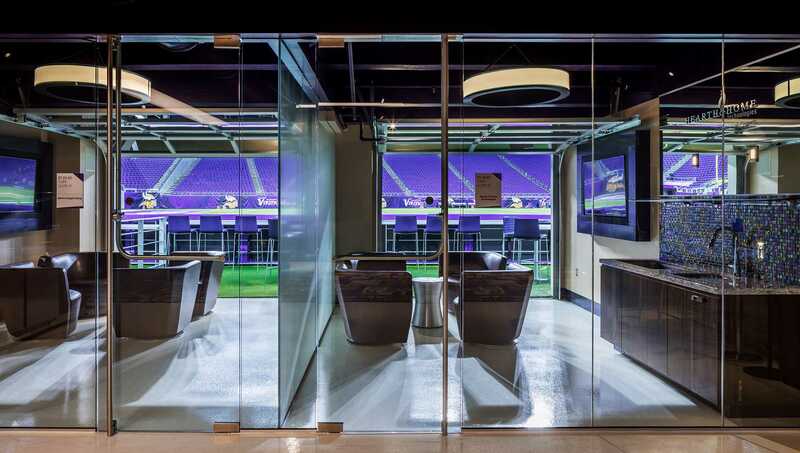 Two of the stadium’s notable design innovations include The Legacy Gate, comprised of five, pivoting glass doors ranging from 75 to 95 feet tall, and the first ETFE roof in a U.S. stadium. When open, The Legacy Gate connects the stadium to its adjacent urban plaza. 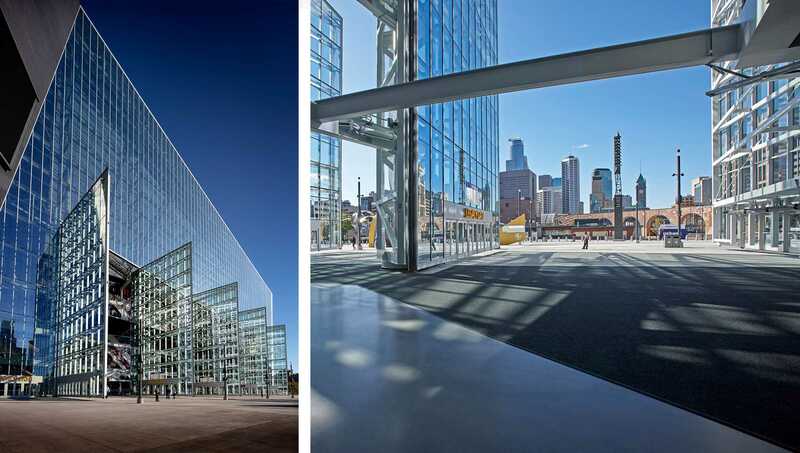 The translucent ETFE roof withstands the brutal weather of Minneapolis’ climate, while flooding the interior with natural daylight, creating the feeling of being outdoors without subjecting players or fans to the elements. 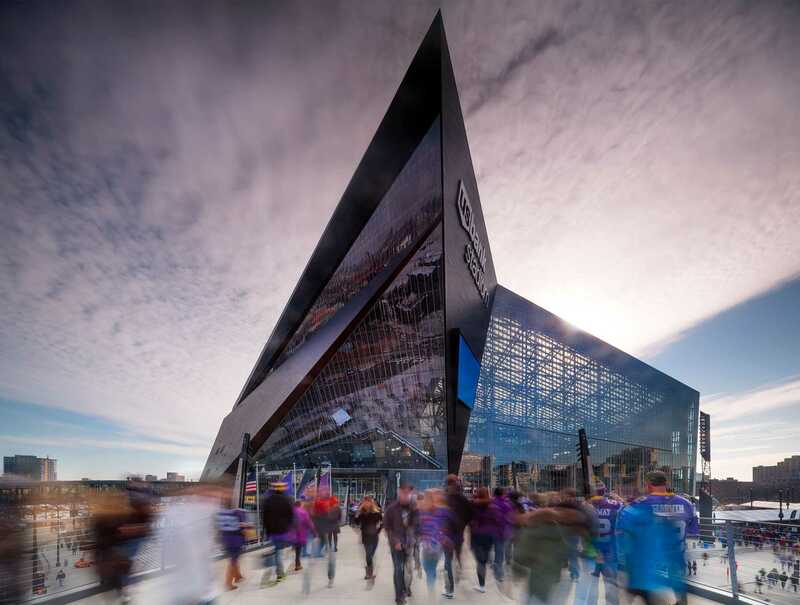 Since U.S. Bank Stadium opened in 2016, more than $2 billion in private and public investment has been injected into its surrounding neighborhood, according to Minneapolis’ East Town Business Partnership. 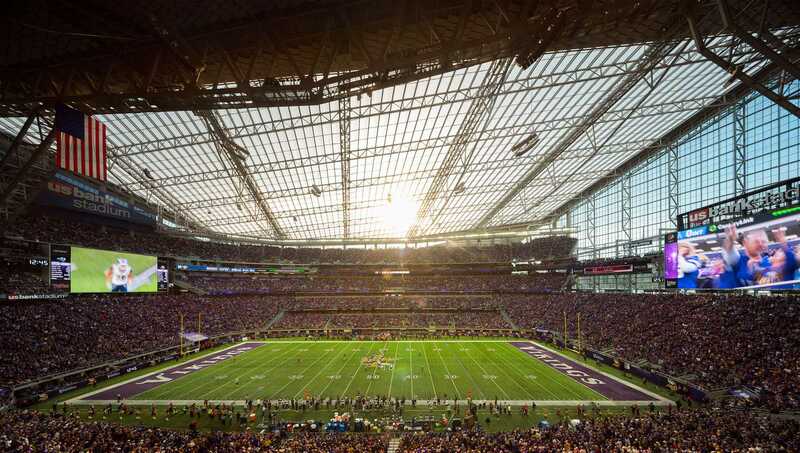 In 2018, U.S. Bank Stadium hosted Super Bowl LII and in 2019, it will host the NCAA Final Four. What’s It Like to Watch a Game at U.S. Bank Stadium?